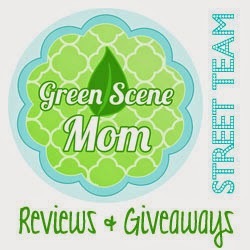 I have a great post for you today from Swaddle Designs. Every product that I have tried from them has been top notch and this review will not disappoint you. This is their fitted crib sheets. I received their Fitted Flannel Crib Sheet - Pure Green and Turquoise Little Chickies which retails for $32.00. Made from the same premium cotton flannel as our Ultimate Receiving Blanket! I love this it is the right size and there is enough fabric that when you put it on the mattress it will not pop off the sides no matter what. This is the nicest fitted sheet that we own and it is so soft. My 10 year old was jealous. This is also available in pink and blue. Swaddle Designs also has many other great products for your babies needs. I like the swaddle lite blankets in turquoise. I would like to try some of their lightweight muslin/marquisette swaddling blankets. The jewel tone burp cloth set looks pretty! I know someone who could use this. I love baby stuff. I really like the Organic zzZipMe Sack in Fleece with Pastel Blue Trim! Super cute and it looks like it'd be so soft. I would love an adult swaddle wrap! I like the Marquisette swaddling blanket. I like the zzZipMe sacks. I would love to get the Marquisette Swaddling Blankets Sterling Sparklers on White.